This article is about the Dutch city. For the city in South Africa, see Dordrecht, Eastern Cape. Dordrecht (Dutch pronunciation: [ˈdɔrdrɛxt] ( listen)), colloquially Dordt ([dɔrt]), historically in English named Dort, is a city and municipality in the Western Netherlands, located in the province of South Holland. It is the fourth-largest city of the province, with a population of 118,450. 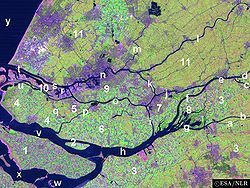 The municipality covers the entire Dordrecht Island, also often called Het Eiland van Dordt ("the Island of Dordt"), bordered by the rivers Oude Maas, Beneden Merwede, Nieuwe Merwede, Hollands Diep, and Dordtsche Kil. Dordrecht is the largest and most important city in the Drechtsteden and is also part of the Randstad, the main conurbation in the Netherlands. Dordrecht is the oldest city in Holland and has a rich history and culture. 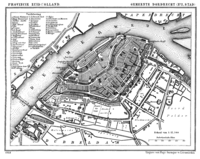 The name Dordrecht comes from Thuredriht (circa 1120), Thuredrecht (circa 1200). The name seems to mean 'thoroughfare'; a ship-canal or -river through which ships were pulled by rope from one river to another, as here from the Dubbel to the Merwede, or vice versa. Earlier etymologists had assumed that the 'drecht' suffix came from Latin 'trajectum', a ford, but this was rejected in 1996. The Drecht is now supposed to have been derived from 'draeg', which means to pull, tow or drag. Inhabitants of Dordrecht are Dordtenaren (singular: Dordtenaar). Dordrecht is informally called Dordt by its inhabitants. 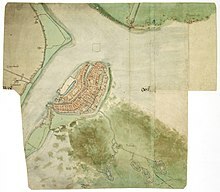 In earlier centuries, Dordrecht was a major trade port, well known to British merchants, and was called Dort in English. The city was formed along the Thure river, in the midst of peat swamps. This river was a branch of the river Dubbel, which is part of the massive Rhine–Meuse–Scheldt delta complex, near the current Bagijnhof. Around 1120 reference to Dordrecht was made by a remark that count Dirk IV of Holland was murdered in 1049 near "Thuredrech". 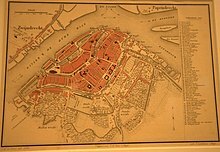 Dordrecht was granted city rights by William I, Count of Holland, in 1220, making it the oldest city in the present province of South Holland. In fact, Geertruidenberg was the first city in the historical county of Holland to receive city rights, but this municipality currently is part of the province of Noord-Brabant. In 1253 a Latin school was founded in Dordrecht. It still exists today as the Johan de Witt Gymnasium [nl] and is the oldest gymnasium in the Netherlands. From 1600 to 1615 Gerhard Johann Vossius was rector at this school. On 18–19 November 1421, the Saint Elisabeth's flood flooded large parts of southern Holland, causing Dordrecht to become an island. It was commonly said that over 10,000 people died in the flood, but recent research indicates that it was probably less than 200 people. In 1572, four years into the Dutch Revolt, representatives of all the cities of Holland, with the exception of Amsterdam, as well as the Watergeuzen, represented by William II de la Marck, gathered in Dordrecht to hold the Eerste Vrije Statenvergadering ("First Assembly of the Free States"), also known as the Unie van Dordrecht ("Union of Dordrecht"). This secret meeting, called by the city of Dordrecht, was a rebellious act since only King Philip II or his stadtholder, at that time the Duke of Alva, were allowed to call a meeting of the States of Holland. During the meeting, the organization and financing of the rebellion against the Spanish occupation was discussed, Phillip II was unanimously denounced, and William of Orange was chosen as the rightful stadtholder and recognized as the official leader of the revolt. Orange, represented at the meeting by his assistant Philips of Marnix, was promised financial support of his struggle against the Spanish and at his own request, freedom of religion was declared in all of Holland. The gathering is regarded as the first important step towards the free and independent Dutch Republic. Other important gatherings such as the Union of Brussels (1577) and the Union of Utrecht (1579) paved the way for official independence of the Dutch Republic, declared in the Act of Abjuration in 1581. The Union of Dordrecht was held in an Augustinian monastery, nowadays simply called het Hof ("the Court"). The room in which the meeting was held is called de Statenzaal ("The Hall of States") and features a stained glass window in which the coats of arms of the twelve cities that were present at the meeting can be seen. From November 13, 1618 to May 9, 1619, an important Dutch Reformed Church assembly took place in Dordrecht, referred to as the Synod of Dordrecht. The synod attempted, and succeeded, to settle the theological differences of opinion between the central tenets of Calvinism, and a new school of thought within the Dutch Reformed Church known as Arminianism, named for its spiritual leader Jacobus Arminius. Arminius' followers were also commonly known as Remonstrants, after the 1610 Five Articles of Remonstrance which outlined their points of dissent from the church's official doctrine. They were opposed by the Contra-Remonstrants, or the Gomarists, who were led by Dutch theologian Franciscus Gomarus. During the Twelve Years' Truce, this in essence purely theological conflict between different factions of the church had in practice spilled over into politics, dividing society along ideological lines, and threatening the existence of the young republic by repeatedly bringing it to the brink of civil war. The synod was attended by Gomarist Dutch delegates and also by delegates from Reformed churches in Germany, Switzerland, and England. Though it was originally intended that the synod would bring agreement on the doctrine of predestination among all the Reformed churches, in practice this Dutch synod was mainly concerned with problems facing the Dutch Reformed Church. The opening sessions dealt with a new Dutch translation of the Bible, a catechism, and the censorship of books. The synod then called upon representatives of the Remonstrants to express their beliefs. The Remonstrants refused to accept the rules established by the synod and eventually were expelled from the church. The synod then studied the theology of the Remonstrants and declared that it was contrary to Scripture. The Canons of Dort were produced; they discussed in detail in five sections the errors of the Remonstrants that were rejected as well as the doctrines that were affirmed. The doctrines affirmed were that predestination is not conditional on belief; that Christ did not die for all; the total depravity of man; the irresistible grace of God; and the impossibility of falling from grace. These canons of Dort, along with the Belgic Confession and the Heidelberg Catechism, remain the theological basis of the Reformed Churches in the Netherlands. 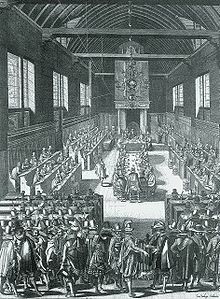 Following the synod, two hundred Remonstrant ministers were deposed from their office, of which eighty were banished. The political leaders of the Remonstrant movement were arrested and one of them beheaded on May 14, 1619. It was only after the death of Prince Maurice in 1625 that the persecution of the Remonstrants ceased. From 1780 to 1787, Dordrecht was home to the Patriots faction which intended to remove the hereditary Stadtholder position held by the House of Orange-Nassau. The Netherlands was after all a republic de jure. Soon after, more cities followed and William V fled from Holland. But his brother-in-law, King Frederick William II of Prussia, came to the aid of William V and on 18 September 1787, Dordrecht capitulated to Prussian troops. The Patriots were defeated and Willem V was restored in his position as Stadtholder. The Japanese battleship Kaiyō Maru was launched at Dordrecht in 1865. She was the largest wooden warship ever launched from a Dutch yard. S. Lankhout's 1858 map of Dordrecht. In the 18th century, the importance of Dordrecht began to wane, and Rotterdam became the main city in the region. Yet throughout the centuries, Dordrecht held a key position in the defense of Holland. It hosted an army division well into the 20th century. During the mobilization of August 1939, infantry and artillery were sent to Dordrecht to defend the island. When the Germans invaded the Netherlands on the 10th of May 1940 German paratroopers landed in Dordrecht. After fierce fighting they overtook the bridges Dordrecht-Moerdijk and Dordrecht-Zwijndrecht. Many buildings in Dordrecht were destroyed. At the end of the Second World War, during the winter of 1944–45, Dordrecht and its surroundings were in the middle between the opposing armies. The border between occupied and liberated regions ran along the Hollands Diep. Dordrecht was finally liberated by the Canadian Army. In 1970, the municipality Dubbeldam (then ca. 10,000 inhabitants) and the southern part of the municipality of Sliedrecht were incorporated into Dordrecht, making Dordrecht Island one municipality. Plan of Dordrecht from 1868. In 2008, around 17% of the population of Dordrecht was of non-Western origin. Between 2005 and 2008, this number has not changed. The allochthonous population consists for a large part of young people while the indigenous population has started to age very quickly. Over six thousand Turks live in Dordrecht, many of whom are originally from Kayapinar. Because of its long and important role in Dutch history, Dordrecht has a rich culture. The medieval city centre is home to over 950 monuments. The city also houses 7 historic churches and 6 museums in a relatively small area and hosts many festivals and events every year. The Onze-Lieve-Vrouwe-Kerk ('Our Dear Lady Church') or simply the Grote Kerk ('Big Church') was built between 1285 and 1470. The 65-meter tower contains a carillon with 67 bells including one weighing 9830 kilos, making it the heaviest bell in the Netherlands. The Augustijnenkerk ('Church of the Augustins') was built around 1293 and is currently owned by the Dutch Reformed Church. The church includes the Augustinian Monastery het Hof ('the Court') which was built in 1275 and was the location of the First Assembly of the Free States. The Nieuwkerk ('New Church') or St Nicolaas Kerk was built in 1175 and is, ironically considering its name, the oldest building in Dordrecht. The Munt van Holland ('Mint of Holland'), mint built in 1366. The majority of the coins used in the region of Holland in the Middle Ages were struck here. Nowadays, the building houses a music school. Kyck over den Dyck ('View over the Dike'), the last windmill in Dordrecht. It was built in 1612 and used to produce malt that was used by Dordts beer brewers. The Groothoofdspoort ('Big Head's Gate') is the original city gate of Dordrecht, built in the 14th and 15th centuries. It is situated at the point where the rivers the Meuse, the Merwede, and the Rhine meet. Arend Maartenshof (Arend Maarten's Court), built in 1625. Stadhuis city hall, built in 1383. Statue of Ary Scheffer (1861), by Joseph Mezzara. Statue of Johan and Cornelis de Witt (1918), by Toon Depuis. Binnenvaartmuseum, dedicated to the history of inland navigation. Dordrechts Museum, informally called Schilderijenmuseum (the paintings museum). Every summer, its garden, known as de Museumtuin (the Museum garden), hosts the showing of several art house films that gained significant attention in the previous year. Re-opened in late 2010 after an extensive renovation. Simon van Gijnmuseum, named after honorary citizen Simon van Gijn and winner of the museum prize 2004–2005, awarded by the Prins Bernhard Cultuurfonds. Lips Slotenmuseum, (Lips Museum of Locks) The museum has closed down and it is not known when or indeed if the inventory will be on display again. Museum 1940–1945, also known as het Verzetsmuseum (the Resistance museum). Dordrecht hosts around 20 cultural and historical events and festivals each year. The city won the title of "Best events city of the year" in 2003 and was nominated for the same title in 2004 and 2005. Dordt in Stoom (literally: Dordt in steam) is the biggest steam event in Europe during which historical steam trains, steam boats etc. can be seen in action. It is organized every other year and attracts a quarter of a million visitors. Attention is also paid to Dordrecht’s art and architecture during Kunstrondje Dordt (literally: Little art circle Dordt) and Dordt Monumenteel (Dordt Monumental), which attracts around 100.000 visitors every year. Dordrecht’s annual funfair is among the highest-ranked in the Netherlands and the International Puppet festival, held in June, includes performances from artists from all over the world, including Italy, Germany, Taiwan, Israel and the US. During Carnaval, Dordrecht is called Ooi- en Ramsgat (Ewe's and Ram's hole), and its inhabitants are Schapenkoppen (Sheepheads). This name originates from an old folk story. Import of meat or cattle was taxed in the 17th century. To avoid having to pay, two men dressed up a sheep they had bought outside the city walls, attempting to disguise it as a man. The sheep was discovered because it bleated as the three men (two men and one sheep) passed through the city wall gate. There is a special monument of a man and his son trying to hold a sheep disguised as a man between them, that refers to this legend. The logo of Dordrecht’s professional football club FC Dordrecht includes the head of a ram and its supporters are known to sing Wij zijn de Dordtse schapenkoppen (we are the Dorsts sheep heads) during matches. There is also a cookie called Schapenkop (sheep head) which is a specialty of Dordrecht. Another legend is about the house called de Onbeschaamde (the Unembarrassed). It is about the three brothers Van Beveren who each wanted to build a house and decided to make a bet on who would dare to place the most risqué statue on their façade. One of the brothers, Abraham van Beveren, placed a naked little boy on his façade. However, the house that supposedly won has an empty façade today because, according to the story, the statue was so risqué that it was removed. A well known saying about Dordrecht is Hoe dichter bij Dordt, hoe rotter het wordt (the closer to Dordrecht, the more rotten it gets). The previous mayor Noorland added to that; maar ben je er eenmaal in, dan heb je het prima naar je zin (but once you’re in it, you’re perfectly content). The saying can probably be explained as follows; traffic used to go by water and whoever came close to Dordrecht was obliged, according to staple right, to display their merchandise for a couple of days before being allowed to sail on. This caused loss of time and caused products to become rotten. Another explanation is derived from Bommel is rommel, bij Tiel is niet viel en hoe dichter bij Dordt hoe rotter het wordt which is supposed to be said by farmers describing the bad quality of the land close to the rivers Maas and Waal, only suitable for harvesting reed. Postcard from Dordrecht in 1901, showing the former building in Merwepark before its destruction by bombardment in 1944. There are also several parks near the city, such as Merwepark and Wantijpark. In the 20th century, Dordts has slowly started to disappear as more and more people have started speaking standard Dutch. The strongest Dordts dialect is nowadays found in the working-class neighborhoods bordering the city centre. On 14 November 1992 and again on 12 November 2011, the official arrival of the popular holiday figure Sinterklaas was held in Dordrecht and broadcast on national television. The current economy of Dordrecht is based on ship building, wood industry, and steel industry. 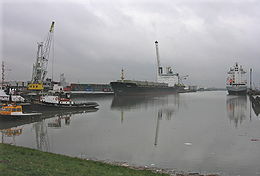 The city has the sixth largest sea port in the Netherlands. One of the largest employers on Dordrecht Island is DuPont de Nemours (Nederland) B.V. It has 9 factories here with a workforce of 900 people. Together with Zwijndrecht, Papendrecht, and Sliedrecht (the "Drecht Cities"), Dordrecht is planning a new ambitious vision to revitalize the region's economy, moving from industry to more business services. In development are the "Learning" and "Health" Business Parks. The Learning Park is intended to have 60,000 m2 (645,834.63 sq ft) of space for educational institutions. In the Health Park, a wide range of health services will be located, with the Dordwijk Campus of the Albert Schweitzer Hospital as focal point. Other services include a blood bank, pharmacy, and mental health clinic. Near the Health Park a new Sport Park will be built. A new large sport centre, the equivalent size of 3 soccer fields, is planned complete with gyms, skating rink, and a pool. Next to this Sport Park, a huge outdoor event terrain will be established. Shopping in the centre of Dordrecht is centred around the Voorstraat, the Sarisgang and the Statenplein (Staten square). The Voorstraat is 1,200 metres (1,300 yd) long, making it the longest shopping street in the Netherlands. Markets are held every Friday and Saturday on the Statenplein and in the Sarisgang and on Tuesday in Dubbeldam. A. A. M. (Arno) Brok, mayor since 02-03-2010. P. H. (Piet) Sleeking, alderman. H. P. A. Wagemakers, alderman. E. van de Burgt, alderman. The results of the 2018 municipal election in Dordrecht were as follows. Several semi-fast services and local trains originate or call at Dordrecht. ^ "College van Burgemeester en Wethouders" [Board of mayor and aldermen]. Organen (in Dutch). Gemeente Dordrecht. Retrieved 18 July 2013. ^ "Postcodetool for 3311GR". Actueel Hoogtebestand Nederland (in Dutch). Het Waterschapshuis. Retrieved 18 July 2013. ^ "Gemeente Dordrecht - Gemeente Dordrecht". dordrecht.nl. Archived from the original on 2008-12-17. ^ Encyclopædia, Editors. "Synod of Dort". Britannica Online Encyclopædia. Britannica Online. Retrieved 8 April 2013. ^ "Synode van Dordrecht - Kerk in Dordt". kerkindordt.nl. ^ Vandergugten, S. (1989). "The Arminian Controversy and the Synod of Dort". Retrieved 30 April 2016. ^ "Remonstrants". Christian Classics Ethereal Library. 2004. Retrieved 30 April 2016. ^ "Dordt in Stoom". Dordtinstoom.nl. Retrieved 2013-03-26. ^ "Uitreiking Nationale Evenementenprijzen in Dordrecht". Nieuwsbank.nl. 2004-05-13. Retrieved 2013-03-26. ^ "Home - Gemeente Dordrecht". Vertelhetderaad.nl. 2010-06-09. Retrieved 2013-03-26. ^ "Dordt in Stoom". Dordtinstoom.nl. Archived from the original on 2013-03-13. Retrieved 2013-03-26. ^ "Home - Gemeente Dordrecht". Cms.dordrecht.nl. 2010-06-09. Retrieved 2013-03-26. ^ "Kerstmarkt Dordrecht - De grootste en meest sfeervolle Kerstmarkt van Nederland". Kerstmarktdordrecht.nl. Retrieved 2013-03-26. ^ "Wantijpop". Wantijpop.nl. Retrieved 2013-03-26. ^ "Stadsomroepster Dordrecht". Poppentheaterfestival.nl. Retrieved 2013-03-26. ^ "Leuke straten in Dordrecht - Winkelen Dordrecht - Informatie over winkelen in Dordrecht". Youropi.com. Retrieved 2013-03-26. ^ "Bestuursinformatiesysteem Gemeente Dordrecht - Orgaan". Dordrecht.nl. Retrieved 2013-03-26. ^ "Partnersteden". dordrecht.nl. Retrieved 30 July 2015. This page is based on the Wikipedia article Dordrecht; it is used under the Creative Commons Attribution-ShareAlike 3.0 Unported License (CC-BY-SA). You may redistribute it, verbatim or modified, providing that you comply with the terms of the CC-BY-SA.